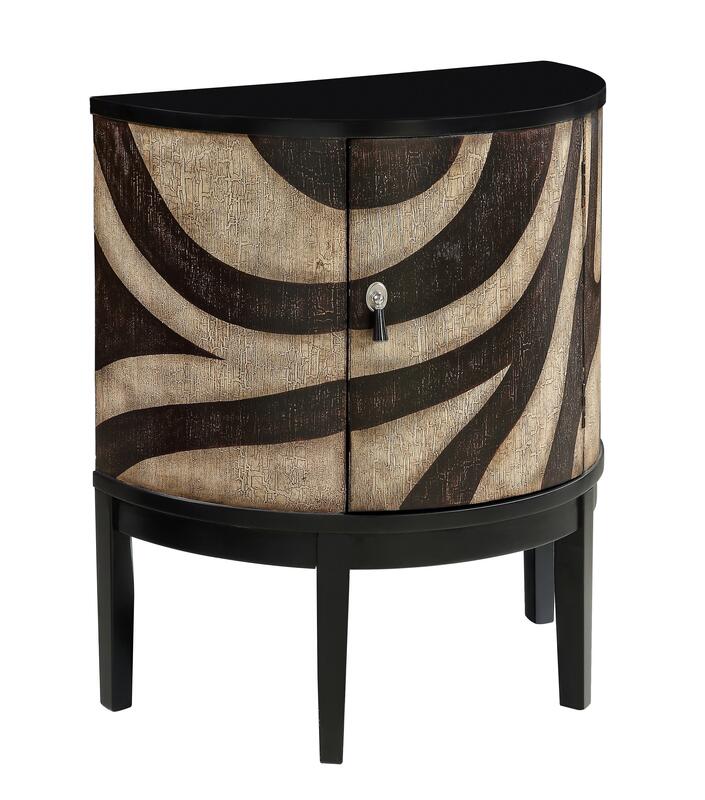 With its demilune shape and exotic patterned finish in Mahli Dark Brown and Beige, this cabinet makes an adventurous style statement in any setting. Four towering tapered legs and an elegant teardrop door pull are dramatic additions. Inside, a middle shelf maximizes storage space. The Ruby-Gordon Accents One Door Demilune Cabinet at Ruby Gordon Home in the Rochester, Henrietta, Greece, Monroe County, New York area. Product availability may vary. Contact us for the most current availability on this product.